I think I have died and gone to heaven. The Hunger Names is not only being made into a movie - it's being made into nail polish. Nail Polish professionals China Glaze have teamed up with Liongate to create an exclusive collection of nail polishes inspired by the Capitol - The first and most lavish of the 12 districts in the nation of Panem, in The Hunger Games. China Glaze has been providing salon standard nail polishes and nailcare products for over 13 years, and are renowned for their exclusive limited edition collections, and this one is no exception. "In keeping with the powerful themes and messages of the story, the collection of nail polish will be inspired exclusively by one of the book’s distinct settings- the Capitol of the nation of Panem. Awash in lavish fashion, food, and entertainment, Capitol citizens enjoy extreme cosmetics and body modifications, bold wigs, and outlandish costumes." 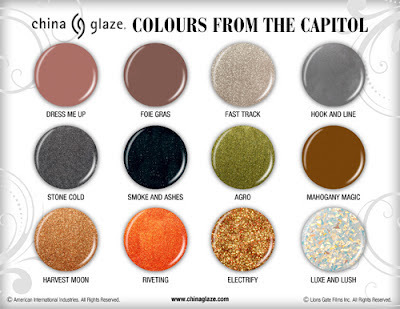 For those who have read the books.. aren't they the most perfectly suited shades to reflect Capitol fashion? And for those who haven't .. Why haven't you read the books?! I cannot wait to get my hands on this entire collection. Electrify reminds me of the colour of Katniss' dress in the opening ceremony of The Hunger Games, with Stone Cold and Dress Me Up remind me of the understated beauty of District 12's key characters such as Katniss, Prim, Peeta and Gale. These are gorgeously subtle colours that are so versatile. Luxe And Lush will be a fun shade to try, as it's a clear polish that's painted over a nail and leaves flakes of glitter. My only criticism is that they shouldn't have stopped there! It would have been great to see perhaps a shade representing each district, or just general colours inspired by the entire book series, not just the Capitol. As you've probably guessed I am counting down the days until March 23rd when The Hunger Games hits UK theatres, with the "Colours From The Capitol" collection being released a few weeks beforehand on March 1st .. that should keep me going for a while! 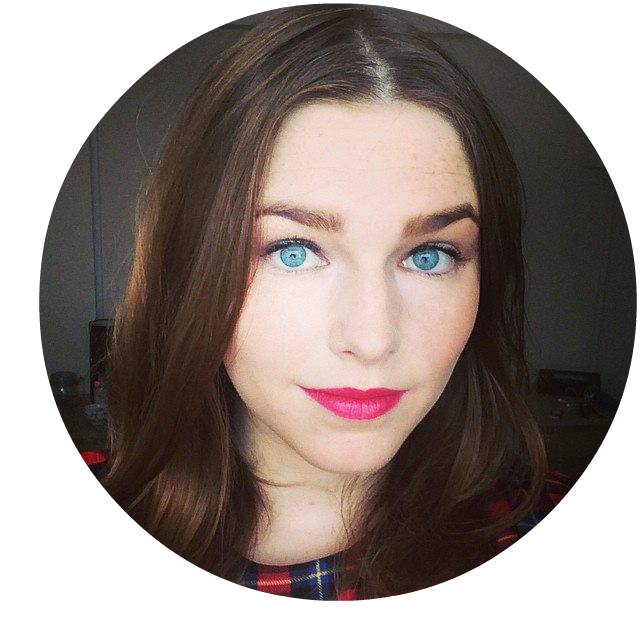 Sparkly Barbie-esque tips + Uni update! Sophie Says.. now has it's own URL!